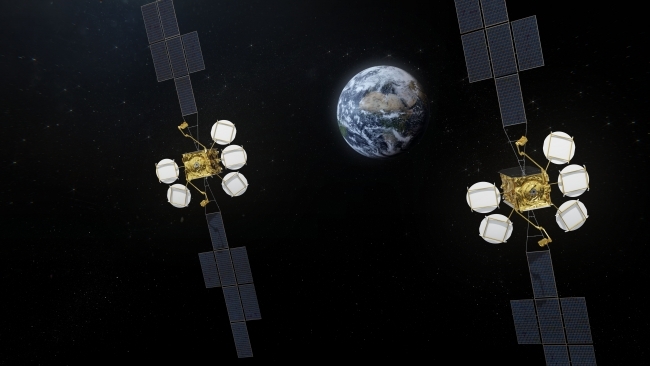 Airbus has been selected by Eutelsat, one of the world’s leading satellites operators, to build two HOTBIRD new generation telecommunication satellites that will replace the current spacecraft and enhance capacity at Eutelsat’s premium broadcasting position. Components and major parts of the assembly will be built in the UK. They will ensure full-service continuity over the operational 102 Ku-band transponders/frequencies, secure deployment and capacity redundancy at the HOTBIRD position. The HOTBIRD fleet forms one of the largest broadcasting systems in Europe, broadcasting 1,000 television channels to more than 135 million homes in Europe, North Africa and the Middle East.